Ecology has a long standing commitment to the principles of fairness and transparency for remuneration. Our approach is to reward our staff in line with their experience, expertise and overall contribution to the Society as well as the general marketplace. 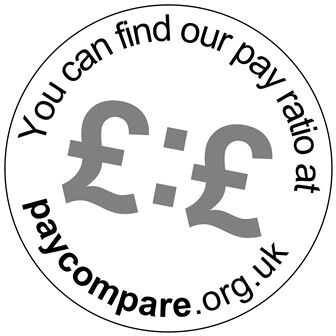 We’re an accredited Living Wage employer and have been awarded the Pay Compare Mark which recognises our transparent approach to remuneration by publishing our actual pay ratio. As a mutual, we asked our member Ethics Panel to consider the change to the pay limit, which they supported. All those who responded also confirmed they wanted Ecology to continue to adhere to both the principles of fairness and transparency and that we maintain a maximum pay limit policy. At our next AGM, on 29 April 2017, as in previous years, our members will be given the opportunity to vote on the Society’s remuneration report which sets out our approach to remuneration and will include details of the change to the maximum pay limit. While Ecology has pioneered an open and transparent approach to fair pay and has led the way on pay ratios for many years, there is a growing wider interest in the issue. We welcomed the Government’s outline proposals, in last year’s Green Paper on Corporate Governance, for companies to publish pay ratios and our new pay limit remains below the limits proposed by the Green Party, which has campaigned for a 10:1 ratio, and the TUC which supports an aspirational goal of a 20:1 maximum pay ratio.